As a result of the Cumbrian floods in 2009, 29 bridges either collapsed or were severely damaged leading to nearly £34 million in repair and replacement costs and significantly larger economic and societal costs. 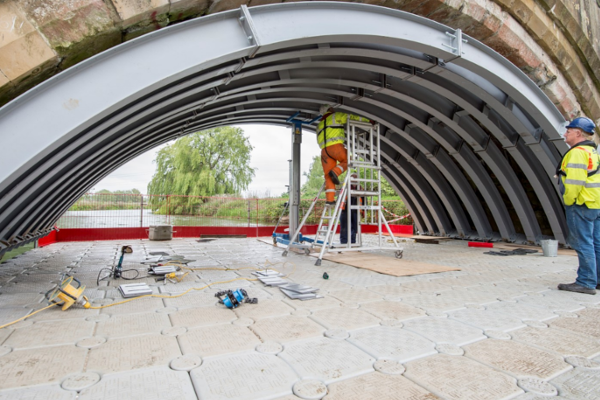 As the saying goes, prevention is better than cure and a concerted effort has been made in recent years to repair brides in areas deemed to be at risk, which brings us onto Kexby Bridge in North Yorkshire. Kexby Bridge is a 3 arch masonry bridge built in 1650 and has been a listed structure since 1990, it was closed to vehicular traffic 3 years ago due to concerns over structural integrity of the existing masonry and a plans were made to install a steel sub frame to the 3 arches. 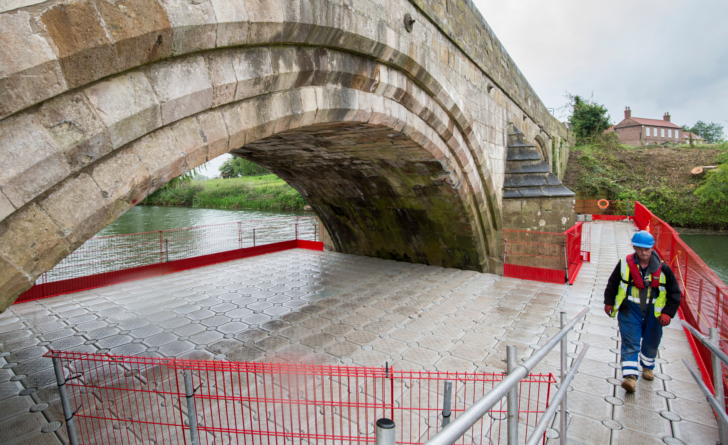 This is where we come into the equation, we were approached to install a work platform under the 2 arches crossing the River Derwent providing the workforce with a safe working platform from which to undertake masonry repairs and install the reinforcements. 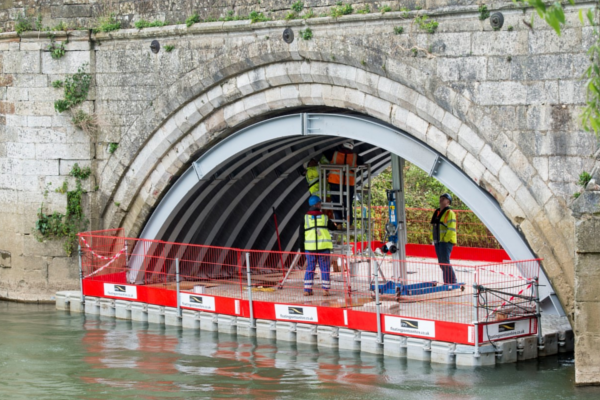 We installed a 2 metre wide walkway from bank to bank on the upstream side of the river and then large work platforms under both arches allowing room for the labourers, elevated work platforms and hydraulic jacks all necessary for the installation of the steel sub frame. The entire installation was surrounded by Combisafe edge protection to ensure the safety of all staff and equipment. Head over to our website to see more information on how we can help out with bridge repairs.